True Colors provides children with a safe space, where they can learn from each other’s cultural backgrounds and experiences. We encourage children to share photos and stories about their family and celebrate national festivals together. We even share delicious international healthy snacks: from tasty Dutch tomatoes, to English tea and Italian olives! Our love of nature influences many of the choices we make. We spend lots of time outside with the children and they enjoy all the outdoor activities. Whether we’re picking fresh radishes, or searching for insects, our children love being outside. And we bring nature indoors too. Our rooms are decorated with natural wood. At True Colors we offer the opportunity for children and babies to take their nap outside. The children sleep like a log and awake revived and refreshed from their rest in the healthy outdoor air. We are inspired by the International Baccalaureate Primary Years Programma (PYP) to prepare your child for the transition to primary school. The programme nurtures and develops childeren as caring, active participants in a lifelong journey of learning. PYP focusses on the development of the whole child as an inquirer, both at True Colors and in the world outside. 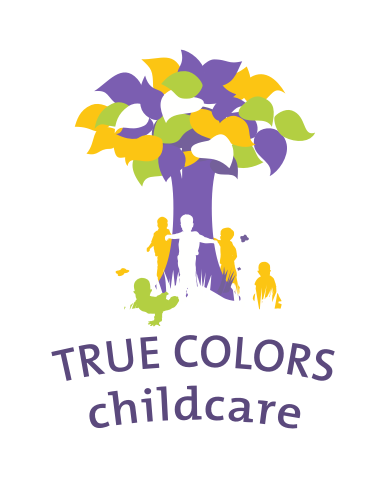 True Colors has two childcare locations. One is in Rijswijk (near The Hague), close to the European Patent Office and Shell EP. The other is in Delft, on the campus of TU Delft, also home to the International School Delft. Both offer a cosy, friendly and safe environment, with child-friendly indoor and outdoor areas. We help parents with information about childcare and the schooling system in the Netherlands. Our experienced team of childcare professionals is here to assist with the practicalities and paperwork of kinderbijslag (child benefit) and kinderopvangtoeslag (childcare allowance), applying for a school place, and any questions you may have related to your child. And, of course, we also know the best places to go and have fun with your child.